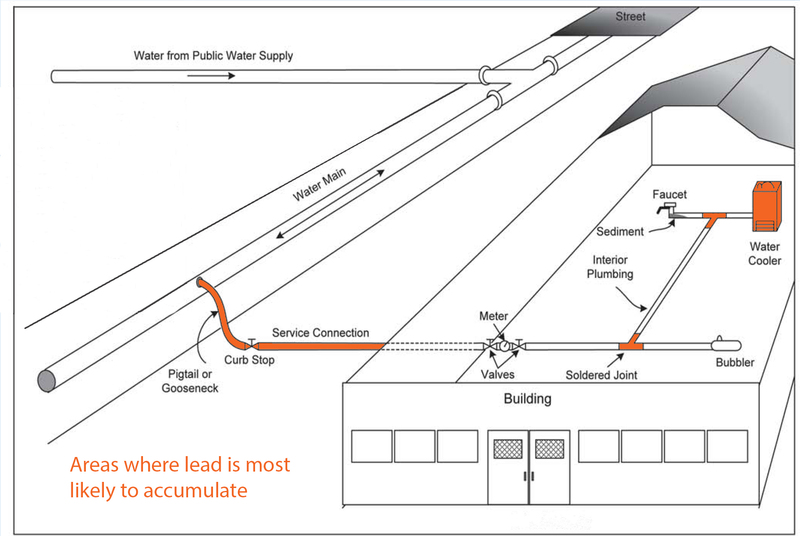 The Arizona Department of Environmental Quality (ADEQ) is proactively testing lead levels in water at schools across the state through a Public School Drinking Water Lead Screening Program. Why Are Schools Being Tested? The program is not a response to indications of lead contamination in schools, but rather part of a statewide initiative to ensure that children in all public schools have safe drinking water. Protecting children from lead exposure is a high priority because children are most vulnerable to the health effects of lead. Children’s intelligence, hearing and growth may be impaired by lead poisoning. Childhood lead poisoning is preventable. Pima County public schools are being tested over a six-month period starting in March 2017. Your child’s schools will notify you as soon as results become available. ADEQ updates results weekly. Your child’s school will notify you if a drinking water source tests higher than the screening level. Depending on the level of lead, the school will take immediate actions, such as flushing or shutting off drinking water sources to protect children. Water for restrooms and hand washing may remain on since lead does not get into the body through the skin. Additional testing to confirm positive results will be done. Physician and laboratories will report elevated blood lead levels to ADHS through a form . Testing to confirm and monitor elevated blood lead levels will be conducted. The ADHS Childhood Lead Poisoning Prevention Program (healthyhomes@azdhs.gov) may provide resources to children with elevated blood lead levels, including assistance to identify sources of lead in the home, guidance to reduce or remove lead sources, health education, and environmental investigations. Answer a questionnaire to determine if your child is at high risk.